The Zestimates that homeowners often present to appraisers can produce some interesting (and misleading) results. 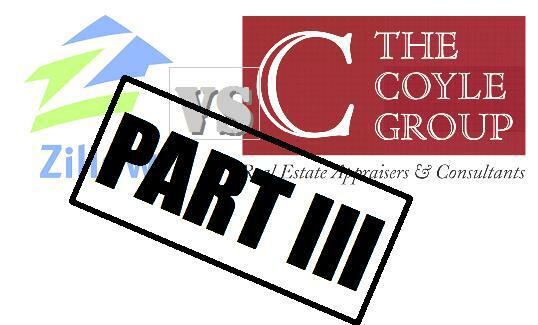 So much so, that I thought we could do a comparison of 12 randomly selected appraisals that were completed by our office and match them up against their Zillow Zestimates. Keep in mind that the appraisals have the benefit of a full property inspection by a human being. Zillow uses public records and complex algorithms. Here are the results. As you can see there are some pretty significant deviations between the appraised value and the Zillow Zestimate. In one case, Zillow was off by more than 111% (this seems like a fluke) but, in other examples as close as 3.77% (not bad!). Bottom line, Zillow is a tool…a starting point. It’s wonderful for neighborhood data, graphs and general sales information. It’s probably not the best place if you’re looking for assistance with making definitive decision. Neighborhoods can be as small as a few square blocks or cover large sections of the city. 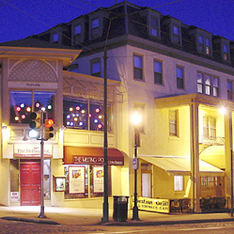 One such neighborhood is the Roxborough section of Philadelphia. It occupies much of the northwestern portion of the City abutting Montgomery County, along with Manayunk and Chestnut Hill. It has always been a solid, working class area with strong family values and sensibilities. 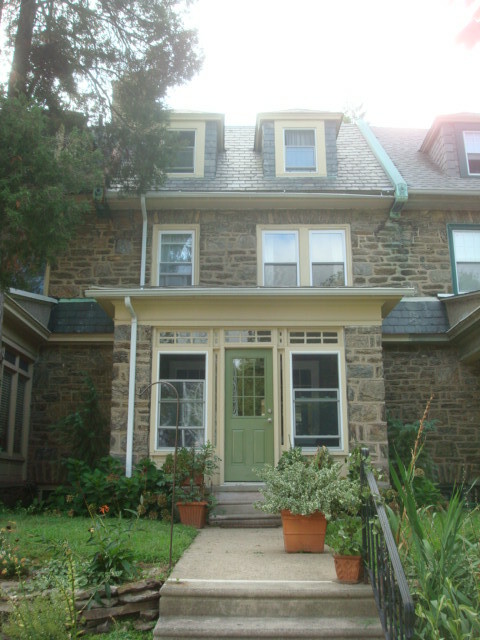 The staple of the Roxborough housing stock is the three bedroom, single family attached rowhome or townhouse. Many were built to satisfy the housing needs of the local factory workers and to keep up with urban sprawl. Depending on which part of the Boro you are talking about the homes were generally built between 1865 and 1970. These are still very popular housing choices for first time homeowners and investors. 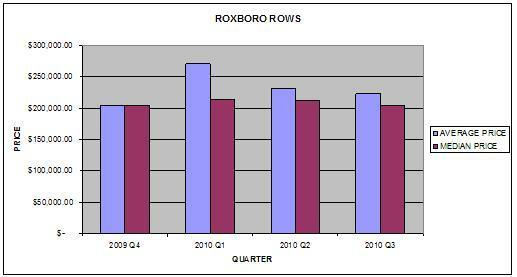 Below is a chart of the sales activity of the typical 3 bedroom Roxborough Row over the the past four quarters (2009 Q4 – 2010 Q3). 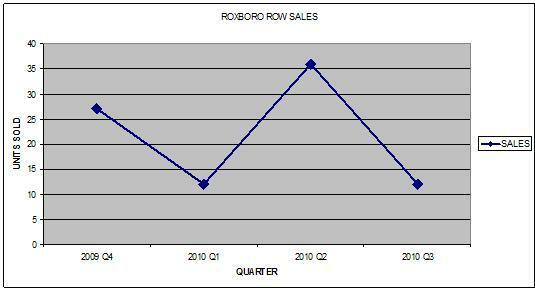 As you can see, the number of sales spiked to 36 in 2010 Q2. This is a direct result of the tax credit that was being offered to first time homebuyers. 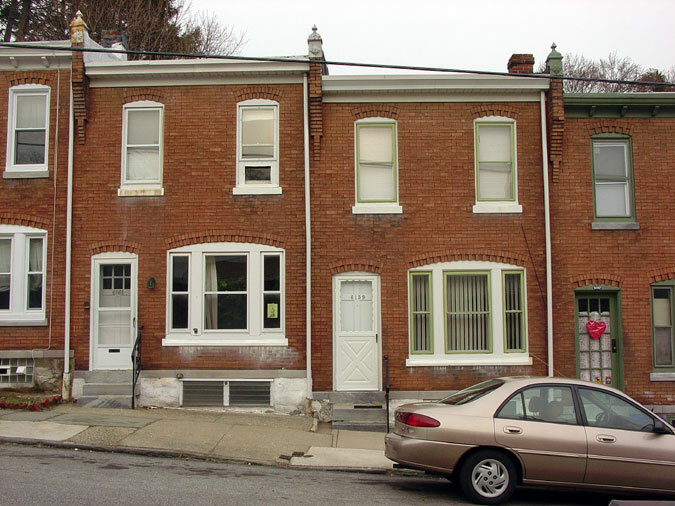 The three bedroom Roxborough Row was essentially made for this program due to its attractiveness to first time buyers and those targeted buy the tax credit program. 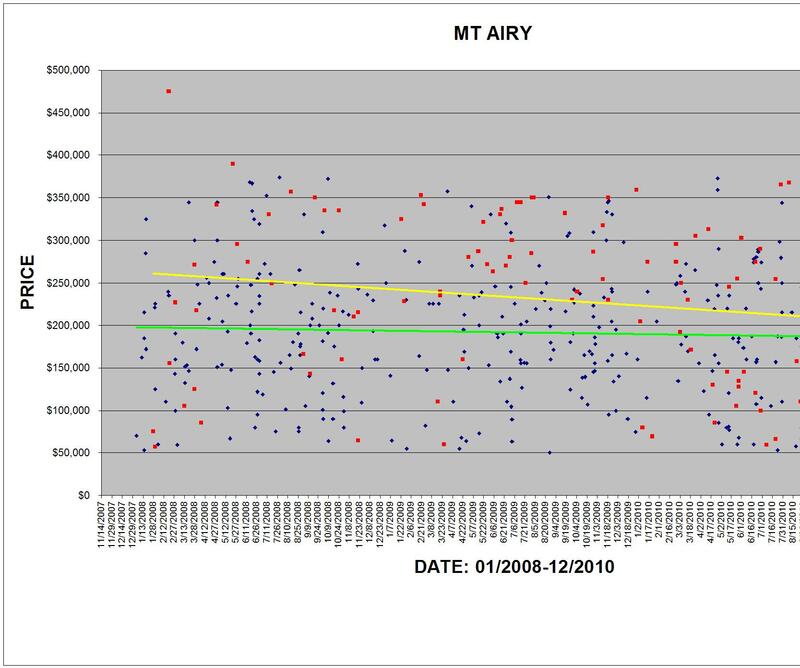 You will notice that in 2010 Q3, after the sunset of the credit, sales of the Rows dropped off by more than 60%, which was just where sales were prior to the credit program. 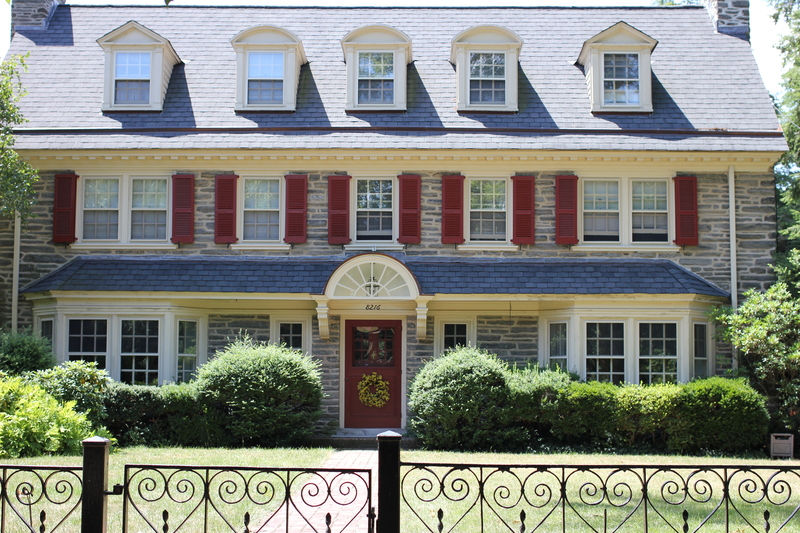 The next chart compares the Average and Median Sale Price for three bedroom Roxborough Rows over the same time period. In 2010 Q1, the Average Price spikes up to $271,042 despite only 12 sales during that quarter. The reason for the skewed average is two or three higher sales of newer townhouses that pulled the average up. Note that the Median Sale price tracks right along with the other quarters. 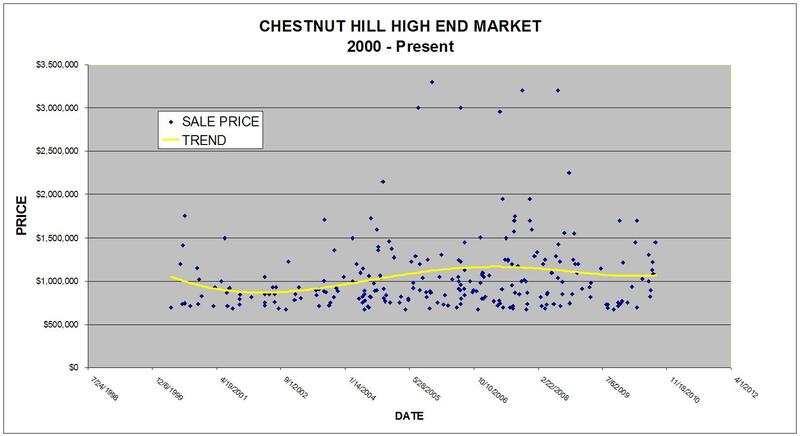 The Median Sale Price for Roxborough Row has hovered between $204,900 in 2009 Q4 to a high of $214,500 in 2010 Q1. In 2010 Q2, the median began to settle into a more traditional trend eventually getting back down to $205,250 in 2010Q3…almost even with where it was in 2009Q4, prior to the tax credit. It goes to show, that despite government interference with credits and incentives, the markets will correct themselves. It also goes to show that the Roxborough Row is the backbone of this market and can withstand outside market influences. Perhaps that’s why it’s been around for so long and continues to show consistent and measurable value.